I'm most pleased with the rather disturbed ladybug. With the cat, I think I was subconsciously remembering Alexandre from Home Movies. 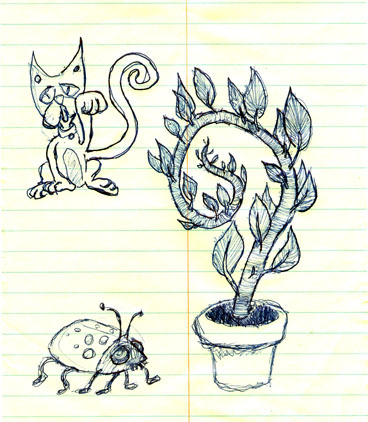 I think it's more like you subconsciously remembering that cat you used to draw for the Nexus comic page. I'll post a scan when I get a chance.